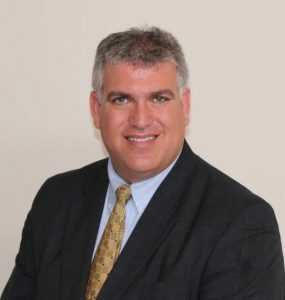 Rabbi Marc D. Israel has been named rabbi of Tikvat Israel Congregation in Rockville, concluding a four-month search. He is expected to begin in July. Since 2013, Rabbi Israel has served as the associate rabbi of Temple Beth Hillel–Beth El, a Conservative synagogue in the Philadelphia suburb of Wynnewood. Previously, he worked in Montgomery County, Md., spending eight years as the rabbi educator at Ohr Kodesh Congregation in Chevy Chase. He was the choice of Tikvat Israel’s Rabbi Search Committee, co-chaired by Danny Bachman and Dalit Baranoff. The Tikvat Israel Board of Directors unanimously affirmed the choice. At a congregational meeting attended by 156 members on Feb. 24, Bachman said his committee considered Rabbi Israel the best fit for the role at Tikvat Israel. He said Rabbi Israel had demonstrated a great ability to form strong relationships with individuals of all ages in his previous positions and had built a strong record of teaching. Rabbi Israel graduated from the University of Michigan with a B.A. in political science in 1992. He earned his rabbinic ordination in 1998 from the Hebrew Union College’s Jewish Institute of Religion, and he joined the Conservative Movement’s Rabbinical Assembly in 2007. He has been a member of the RA’s Social Action Commission, and he co-chaired the 2013 Resolutions Committee. Tikvat Israel looks forward to welcoming Rabbi Israel to his new spiritual home this summer. A full profile of Rabbi Israel, as well as a Q&A interview, will be published in the May-June issue of the Tikvat Israel Bulletin.